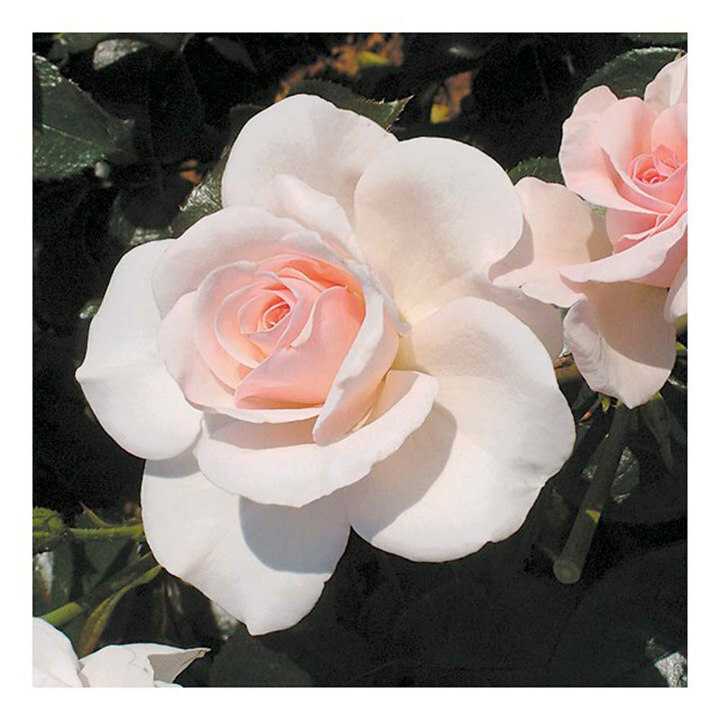 Always looks fresh and appealing with its abundant pearly blush blooms. They make a cool contrast to the plentiful, dark glossy foliage. Scent 4. Colour - pearl. Height 90cm. Bush variety. Ideal for beds and borders, group plantings. Scented. Prefers full sun or partial shade.